This table and chair set is clearly retro. But it does have a couple of characteristics that set it apart from the typical vintage dining set. 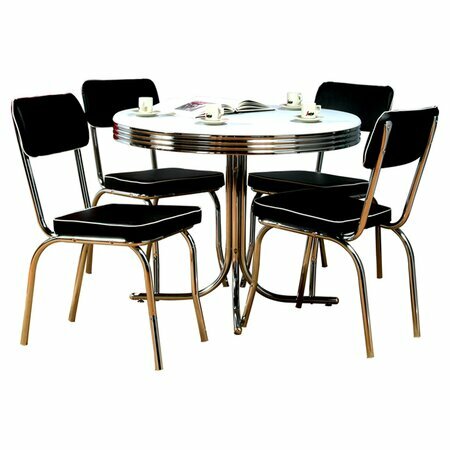 Black seats with white piping are unique as are the aluminum legs which are typically finished in chrome.